One family who held considerable lands in Issaquena County during its early years was the Gwin family. The patriarch of the Issaquena Gwin family was Rev. James Gwin, a Methodist minister. James Gwin was born on January 16, 1769 in Orange County, North Carolina. While in North Carolina he married Mary Adair McAdams and during 1790 he removed his family with twenty other families to Tennessee and settled at Fountain Head on the border between Kentucky and Tennessee. James Gwin with his brothers served in the Revolutionary War. His father was born in Wales and his mother was a native of Ireland. At the time of their migration to Tennessee, Nashville was known as French Lick. At that time the country was full of Indians fiercely resenting the encroachments of the white settlers. There were many battles, and in these, James Gwin exhibited valor and skill, especially in those of Caney Fork in 1792 and Nickajack. James Gwin's preaching circuits extended as far south as Alabama, west to the Mississippi, and north to Ohio, often accompanied by Bishop McKendree. James Gwin was a close friend to Andrew Jackson. Rev. 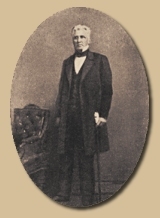 James Gwin started preaching to local slaves around Nashville in 1829. Under his leadership, they formed the "African Mission" until it had 819 members in 1833. In 1853 it became the Capers Memorial Christian Methodist Episcopal (CME) church in Nashville, Tennessee. The church is still in existence. "My recent appointment, Register of the Land Office at Mount Salus, makes it my duty to explain to you, why I sought the position, and to say something of my antecedents. I am a native of Tennessee, was a volunteer under General Jackson in his Indian campaigns; was in Coffee's brigade in the assault and capture of Pensacola in 1814, and in all the engagements with the British below New Orleans. I lost my health by long protracted exposure, and to this day am a habitual sufferer. In 1829 the Postmaster General was good enough to give me a clerkship in his Department, since which I have never been absent a day from my post. My beloved wife is now threatened with confirmed consumption, and I am advised that the only hope for her recovery is to take her to a warmer climate. Under this advice, and with this hope, and for the happiness of a young family, I submitted the case to the President, and, with the noble sympathies of his nature, he conferred on me the Mount Salus appointment. I do not apprehend that any one will doubt my qualifications or character, but I fear my non-residence may be considered an objection. For this I must ask indulgence. I have never resided in Mississippi, but I have shed my blood on her soil, in her defense, as the records of our battles will attest. My venerable father, and six brothers, were soldiers of the Revolution. The whole Tennessee delegation in Congress, a majority of the members from Kentucky, and the late member from Mississippi, Gen. Thomas Hinds, recommend my confirmation. Many citizens of Mississippi will unite in this recommendation. I was introduced to you during the siege of New Orleans, by my friend, Gen. Carroll, but you have probably forgotten the incident. I shall enter on my duties with a determination to discharge them faithfully, and to the satisfaction of the government and the people. When I applied for the place not a single application had been received from the State of Mississippi, though there were several from other States. Within a few days past, some applications from Mississippi have been made. I have the honor to be, Respectfully, your obedient servant. SAM'L GWIN"
More than likely, Samuel Gwin's appointment in Mississippi and his brother, William McKendree Gwin's appointment as U.S. Marshall in the region during 1833 (having practiced medicine in Madison County for six years), is what brought Alexander Mosby Gwin to settle in the region. Shortly after 1830, James Gwin and his sons, Samuel, William McKendree, and Alexander Mosby purchased tracts of land in Issaquena County. By 1840, it seems that James Gwin had become dissatisfied with the low country in Mississippi. On February 5, 1840, Andrew Jackson wrote the following: "I had the pleasure of meeting with my old friend Father Gwin in good health but dissatisfied with the lower country, and has a wish to return and spend his last days in Tennessee, if it meets the views of his wife, to whom he wrote by me. I enclosed the letter to Mrs. Gwin, requesting to know her determination - as yet have not heard from her. To have this good old man my neighbor in my declining life would be a great pleasure to me." "Mary Gwin was born December 2, 1773 in Orange County, North Carolina and was married and removed to Tennessee in 1790 where they lived in Forts for two years in consequence of the hostility of the Indians. After the country became more settled they settled a place in a few miles of the Fort where they lived in constant fear of an attack from the Indians, until they were finally driven from the Country. I have often heard my mother speak of the dangers they passed through in their early life. Short after they left the Fort for their own Cabin she was in hearing of the guns of the Indians when they attacked and murdered the family of a neighbor, and could see the light of their burning Cabin. She was alone, my father being out after the Indians at the Time, and with her infant baby lay secreted in an oats patch in light of her Cabin the remainder of the night expecting momentarily to hear the Indians make an attack upon it. It was a number of years after their removal to Tennessee before they could live at their homes with security. Even at that early period Methodist Preachers were among them and had to be guarded from one appointment to another and a guard placed to prevent a surprise during preaching. Every man carried his gun to church and was ready at any moment to receive the Savage foe. My mother was a great deal alone, as my father had to serve as patrol at stated periods. Many sleepless nights she spent when thus alone. After my father entered the Itinerancy she was alone sometimes for months at a time, and the whole care and support of the family devolved upon her, for Methodist preacher as pittances were not secured to them then as it is now. She had to labor with her own hands for their support. Whatever of good there is in her children we owe mostly to the moral training of our dear Mother. A short time before her death in conversation with Mr. Mosby she said God has been good to me all my life. He has preserved my life to extreme old age with a mind unimpaired. My recollection is as good now as it was forty years ago, and blessed be God I can read my Bible with the first Spectacles I ever used. He has blessed me with an affectionate family who has waited on me tenderly in all my afflictions without tiring, and none of them have ever done anything to make me ashamed of them. In her last sickness she spoke of many scenes in the Revolutionary was she was an eye witness to, among other things, of the British troops driving the last milk cow of her Grandmother off to butcher it for the use of the army, and of the destitute condition of the family in consequence of the united ravages of the British troops and Tories. She named the birth day of each of her children and grandchildren, when each married and the date of the death of those who had died. I mention these things to show how clear her memory was even a few days before her death. She spoke with great composure of her condition, and manifested not the least anxiety about her future happiness. For weeks before her death her hourly prayer, while awake, was that the struggle was over with her, and that she was with her Savior, but would conclude each prayer with a Thy will, O God! Be done, and not mine. She made provision for her old faithful servants. She left gold pieces to each as a keepsake from her and requested that they should be kept together after her death. After sending affectionate messages to all the members of her family who were absent she said Send an affectionate farewell to Brother Marshall & family and to Brother Drake. Tell them I love them all. Let the books good Brother Fulton gave me remain on my table for family service, and put my name in each as coming from him and from me to each of your children. Preserve my good old Family Bible. My Mother was confined to her bed two months and died at half past nine o'clock Tuesday evening June the 22nd in her eighty sixth year." James and Mary's son Alexander Mosby owned Brunswick Plantation in Issaquena County. 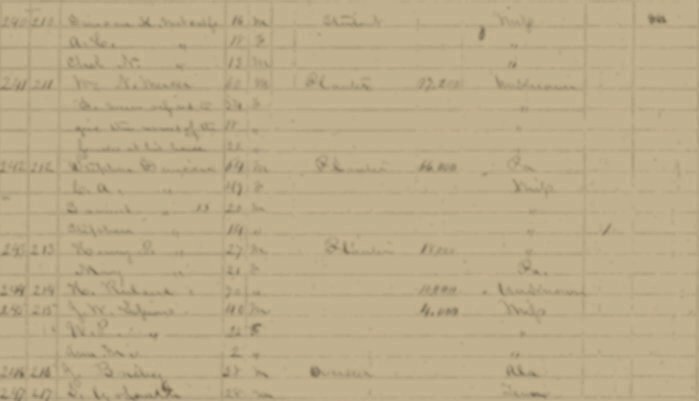 On September 13, 1843 he married Elizabeth Caroline Lowry (born 1826 in North Carolina, the daughter of William Lowry of Fairfield Dist, South Carolina) in Madison County, and shortly thereafter removed to Issaquena County. Brunswick, Alexander's Issaquena plantation, was located near Eustatia plantation, owned by the Eustis family, northeast of the present-day Chotard community. Issue of Alexander Mosby and Elizabeth Caroline Lowry Gwin was: Ida Hampton Gwin (born July 16, 1844 in Warren County and died June 27, 1851 in Issaquena County). 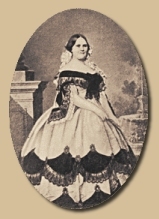 Elizabeth Caroline, wife of Alexander, died on August 17, 1851 in Issaquena County. After the death of Elizabeth Caroline, Alexander married Sarah "Sallie" Catherine Crichlow (daughter of James Crichlow and Sarah Howell Nelson, born June 14, 1826 in Murpheesboro, Tennessee, died during February of 1916 at Brunswick Plantation, buried at Cedar Hill Cemetery in Vicksburg). Issue of Alexander and Catherine Crichlow Gwin were: Thomas William (born December 13, 1854 in Issaquena County, died February 18, 1948 in Vicksburg, buried in Cedar Hill Cemetery in Vicksburg); Alexander Mosby (born April 19, 1858 in Issaquena County, buried in Cedar Hill Cemetery, Vicksburg); Mary G. (born April 19, 1858 in Issaquena County); James (born 1859 in Issaquena County); Julia; and Katherine (born October 1, 1864 in Ascension Parish, Louisiana). Alexander Mosby Gwin suffered a fatal accident on Brunswick Plantation, and died there on April 11, 1867. "GWIN, William McKendree, a Representative from Mississippi and a Senator from California; born near Gallatin, Sumner County, Tenn., October 9, 1805; ..... graduated from the medical department of Transylvania University, Lexington, Ky., in 1828; practiced medicine in Clinton, Miss., until 1833; United States marshal of Mississippi in 1833; elected as a Democrat from Mississippi to the Twenty-seventh Congress (March 4, 1841-March 3, 1843); declined to be a candidate for renomination in 1842; moved to California in 1849; member of the State constitutional convention in 1849; upon the admission of California as a State into the Union was elected as a Democrat to the United States Senate and served from September 9, 1850, to March 3, 1855; reelected to the United States Senate to fill the vacancy occurring at the expiration of his term, caused by the failure of the legislature to elect, and served from January 13, 1857, to March 3, 1861; chairman, Committee on Naval Affairs (Thirty-second and Thirty-third Congresses); .... retired to California and engaged in agricultural pursuits; died in New York City September 3, 1885; interment in Mountain View Cemetery, Oakland, Calif."
family research for the preparation of this article.